1. Fold a piece of card stock in half. 2. Draw half a popsicle shape along the fold. 3. 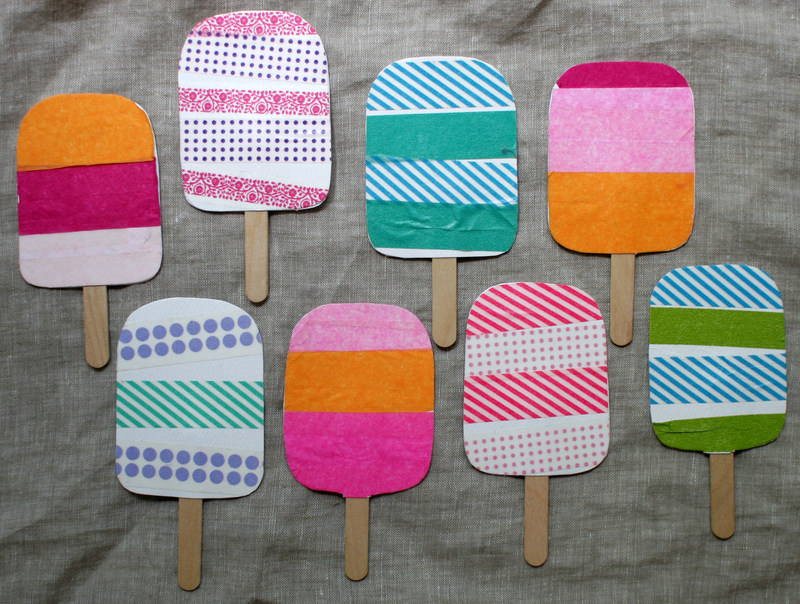 Cut out and unfold to make a whole, symmetrical popsicle pattern. 4. Trace pattern onto card stock and cut out. You will need two popsicle shapes for each card. 5a. For tissue paper version: put double-stick on to one side of card stock. 6a. 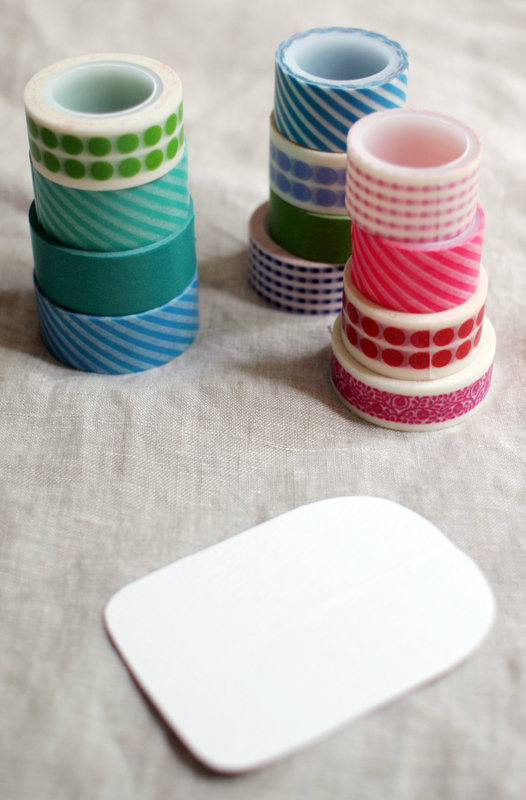 Cut out stripes of tissue in various colors and stick onto double tape. 7a. Trim edges of overhanging tissue and tape with scissors. 5b. 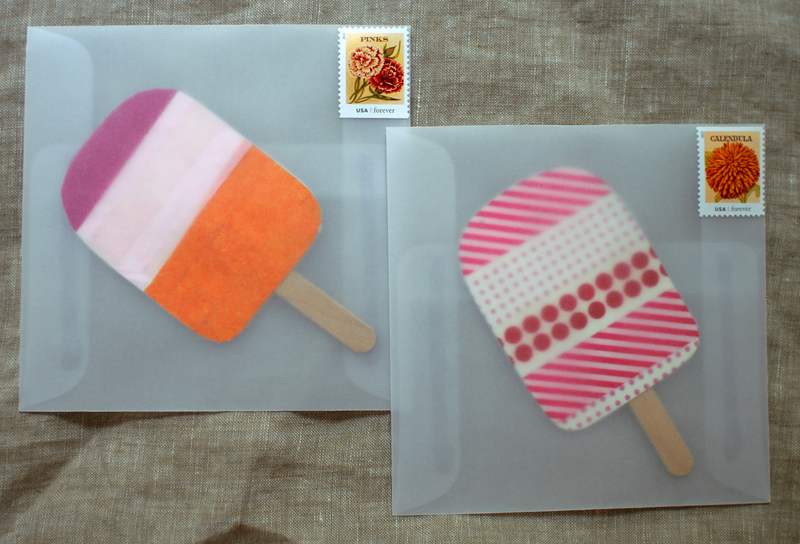 For washi tape version: Stick stripes of tape onto card stock popsicle. 6b. Trim edges of overhanging tape with scissors. 8. Place popsicle stick between decorated popsicle shape and blank popsicle shape. 9. Glue stick to card stock and two halves of card stock together. 10. 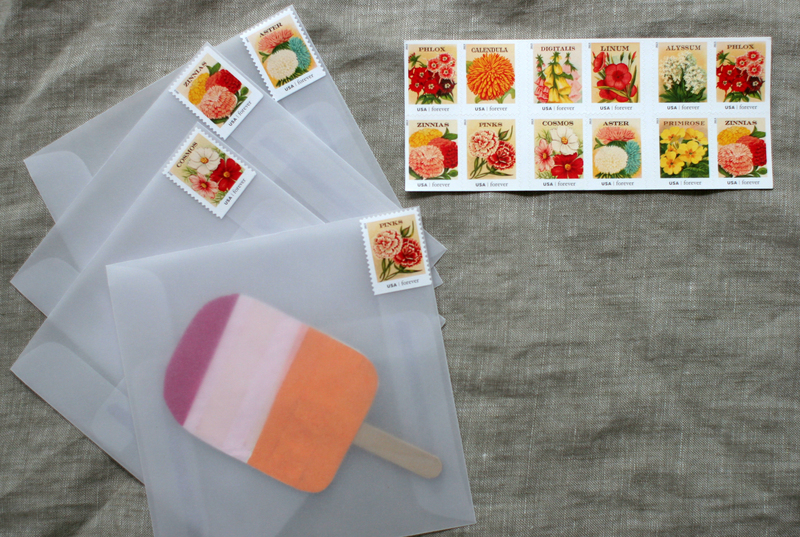 Place popsicle cards under some books to press while they dry. 11. 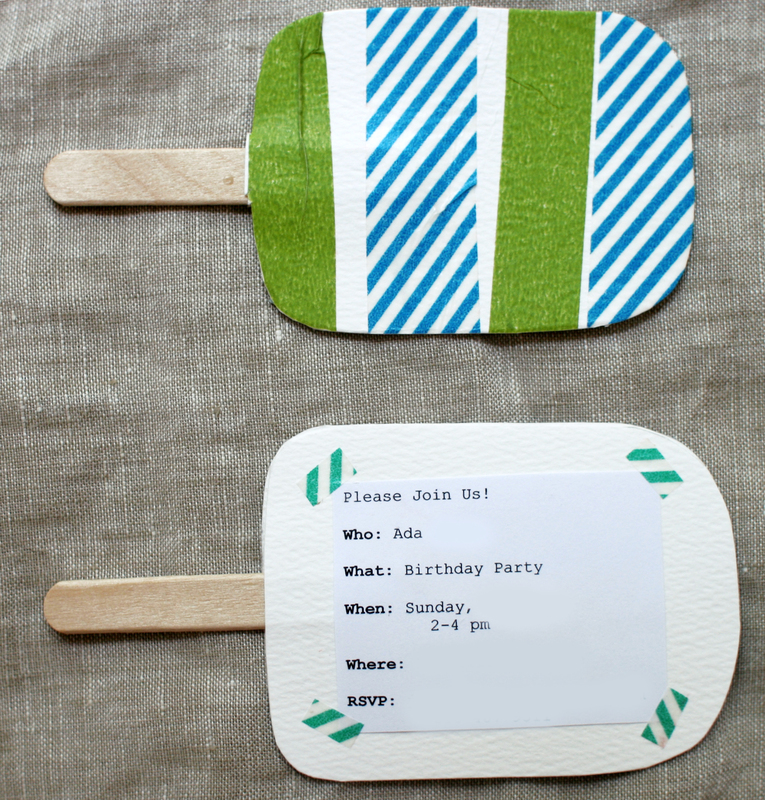 Print out party details and affix with washi tape to the back of popsicle.